The ErgoStyle ES2000 changes how all adjusting tables are viewed. This drop elevates across the entire cushion, rather than a single pin, allowing for improved accuracy and a smoother adjustment with less force–for less stress on you and your patient. It’s also fully modular, allowing for easy modifications and upgrades in the field, both now or later as your techniques and practice grow. 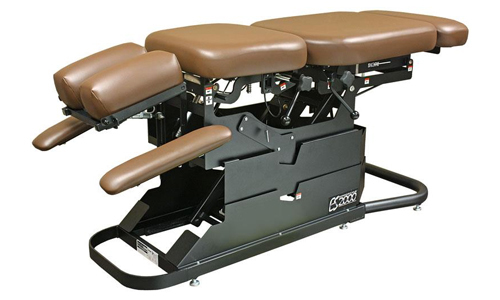 Choose from drops, electric elevation with or without autococking, head pieces, chest and pelvic elevation, dual foot pedal elevation (standard with auto-cocking drops) and air compressor options.